One of the crosses I have to bear with this blog is testing out s’more recipes for the Advanced S’more Making section. It’s a hard job, but someone has to do it! 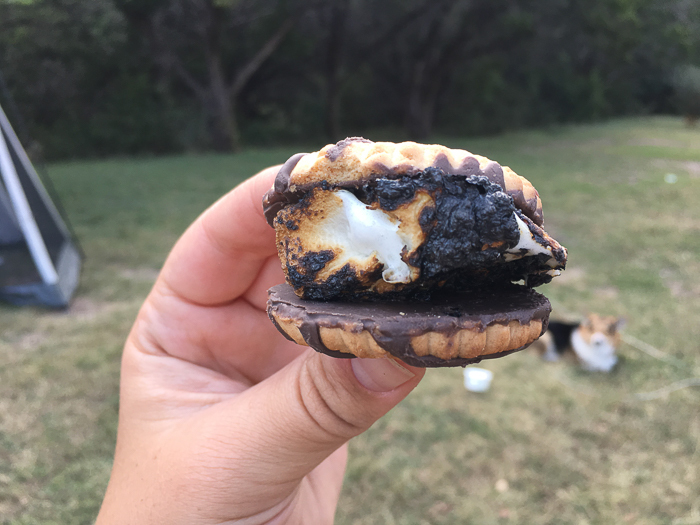 So far I’ve tried Strawberry Nutella S’mores, Chocolate Reeses S’mores, and many others, but I’m excited to announce today that I’ve tried my favorite one yet: I present…drumroll please… the Keebler Fudge Stripe S’more. The consistency of the fudge stripe cookie is softer than a graham cracker and therefore harmonizes better with the soft gentle texture of a roasted marshmallow. The cookie comes with chocolate already applied, so you don’t have to juggle a second package of chocolate while also dealing with the marshmallow and cookie. Simplify your life. The chocolate melts faster than a typical chocolate bar and we all know that melted chocolate tastes better than cold chocolate! No unpleasant crunch, just warm gooey goodness. As you can see, I’ve thought through this. Here is the recipe, I hope you try it out! Slide it off in between two fudge stripe cookies. 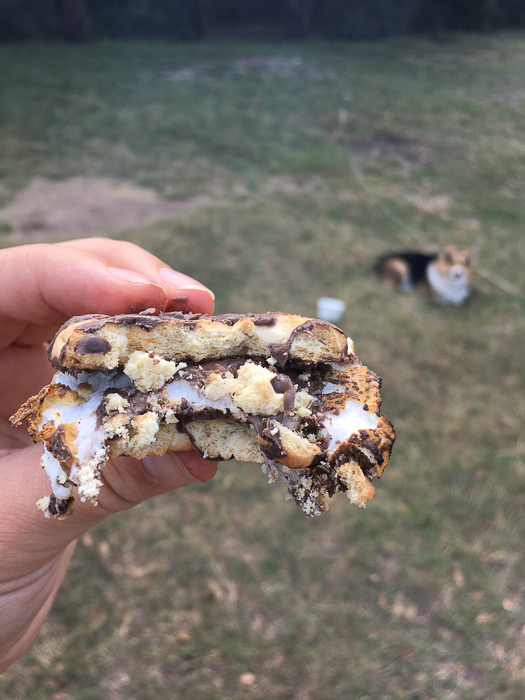 2 Replies to "Fudge Stripe S'mores (The BEST ones yet!)" What a fantastic idea! I will be trying this tonight. May I suggest a blog concerning which wine goes best with s’mores? I’d be glad to help you out with the taste tests.